There's a nice article in the New York Times about farmland prices. The article suggests (as do most NYT articles on land values) that it's just another bubble. Since we've had a couple bubbles in relatively recent memory, now it seems like everything's a bubble. I'm not so sure. There is a lot that's different about farmland values as compared to houses. For one, we don't have quite the same level of debt relative to asset value. It's reported as 25.5% for farmland. That's the highest since the 1980s boom. But then given today's low interest rates, it's not really a fair comparison to the 1980s. It's also less than half the 60%+ level of debt we had for housing at the peak of the bubble. Also, we don't have stated-income mortgages. Banks are more cautious with farms than they were with houses during the Countrywide Mortgage years. The simple analysis compares the price to rent ratio to current long-run interest rates. Today it looks like land that sells for around $10,000/acre rents for $500-600/year. That's a 5-6% yield where 10 year T-bill rates at this writing are a little under 2% and 30-year T-bill rates are a little over 3%. Now, there are costs and benefits to owning land instead of T-bills. A benefit to land is that is has built-in inflation protection. Inflation will push up commodity and land prices like everything else. So, the better comparison may be real rates, which are currently negative for 10-20 years out, which makes a 5-6% yield look pretty good. A cost to owning land is that it's risky. Rents are high because commodity prices are high. If commodity prices fall, so will rents and yield. So, what's the forecast for prices? I'd say that's hard to tell. They could go up further, they might crash if rapid productivity growth resumes. The best bet is to look at futures prices, which suggests prices will fall somewhat from today's levels, but not that much. Then there is the question of how to price uncertainty around that best guess. It's not clear how costly that risk really is. For a family with all their wealth piled into the farm, the risk is a big deal. Most family farms own their land outright, or have relatively small mortgages. A downturn in commodity prices, rents and land values would hurt for sure. But typically there's not the kind of leverage we had in homes (the Times article has a notable exception). Consider, in contrast, the risk to outside investors. Wall Street types are pilling into land, probably because they see a reasonable yield. But their exposure to risk is quite different. These are highly diversified investors who have large portfolios of assets. If farmland values crash, it's unlikely to be closely associated with the rest of the economy. The fact that agriculture is a small share of our economy, and that commodity prices have little association with the rest of the economy, means that risk is far less important to these outside investors than it is to the family farm. This basic point was implicitly made by Gary Gorton and Greet Rouwenhorst awhile back. So, the basic math suggest that land investment is a reasonable deal right now. With prices this high, it may not be quite as good a deal as buying a home in some post-bubble cities with low price-to-rent ratios. But it's not bad, and probably not as difficult for an arms-length investor to get into. So, I don't think this is a bubble. However, you should be forewarned that I've been wrong about this kind of thing before. In a recent post I wrote about why rainfall is sometimes given too much credit for variations in crop production. Or, put differently, temperature deserves more credit than it often gets. A paper we have out this week delves into the reasons for this. Below is a brief background and summary, but see full paper here. As background, there are now several studies showing close correlations between crop yields and temperature, in both rainfed or irrigated areas. More specifically, we now see that a lot of these correlations are driven by the tails of the temperature distribution – more very hot days means lower yields. Those of you familiar with our blog will know we often represent this effect by summing up degree days above some threshold, like 29 or 30 °C. See posts here, and here. 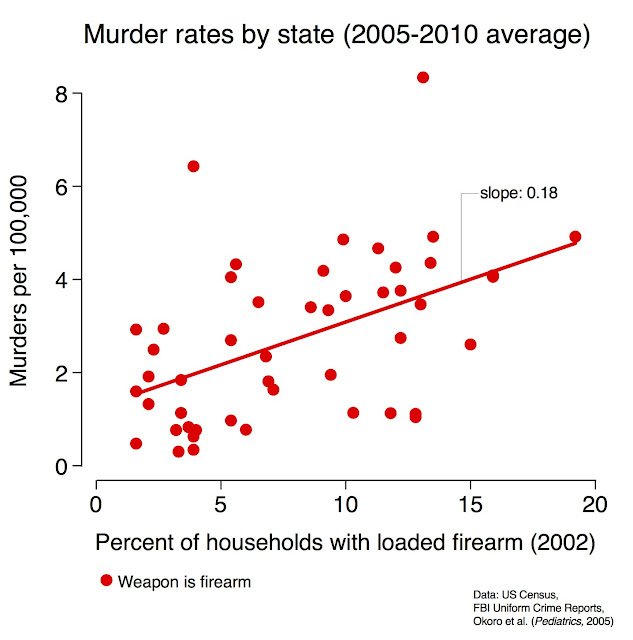 But correlations don’t tell us much about mechanisms of causation. And as a result, many people are wary about using correlations to project future impacts. So why might hot days in particular be so important? Agronomists are usually quick to talk about the key time of flowering when some really hot days can spell disaster. This is confirmed by many experimental studies, including one recent one here. But there are other things that could be going on in farmers’ fields in addition to this. One is the fact that hot air can hold more moisture, so that hotter days tend to have higher vapor pressure deficits (VPD). When air has higher VPD, plants lose more water per amount of CO2 uptake, which lowers their water use efficiency. The response of most plants is to then slow down growth, which avoids losing too much water during the parts of the day where efficiency is lowest. Tom Sinclair, among others, has a boatload of interesting papers on this dynamic and the tradeoffs involved with selecting varieties that slow down more or less under high VPD. We then look at some diagnostics in the model to confirm that it’s high VPD causing growth to slow, which causes lower yields. Then, to be sure it is not just that hot days or years tend to happen when rainfall is low, we artificially manipulate temperature or rainfall one at a time, and see how the model responds. The figure below shows the change in water stress (lower values on the y-axis mean higher amounts of water stress) for 3 key months for corn (July being the most important for final yield). This shows that a warming of 2°C causes a much bigger (3x) increase in water stress than a drop of in-season rainfall by 20%. Why does this matter? First, it suggests that a lot of the effects of extreme heat (at least for this crop, in this region, in today’s climate) are related to drought stress. So when the media refers to the big drought, that is technically correct (at least in this case). But it’s important to be clear what we mean by drought – we don’t necessarily mean low rainfall (a common meteorological definition of drought), or even low soil moisture (a common definition of “agricultural drought”), but we mean a more agronomic definition of drought, such as “not enough water to grow as fast as a plant can”. The key is that water stress is not just about water supply to the plant, but about how much water it has relative to how much water it needs to maintain growth rates. The “needs” or water demand part depends on VPD, and hotter days on average tend to have higher VPD (and extended heat waves tend to have much higher VPD). Second, it implies that efforts to adapt to warming in U.S. maize should probably, at least for the near future, focus on dealing with water stress associated with high VPD, rather than, say, the direct effects of heat damage during flowering. One thing we didn’t have the horsepower to do for this study would be to repeat the analysis with other types of crop models, most of which handle water stress slightly differently than APSIM. That would tell us how many models that have been used to project climate change impacts on U.S. agriculture are actually getting the key process right. It’s the type of model comparison that hopefully AGMIP will tackle – not just comparing projections of different models, but seeing how well they perform in reproducing historical responses to extreme heat. Are not helpful at all. Yield trends may start to stall. but may be change in diets. it may mean death and riots. With new genes or crops or lots more drops of pricey irrigation. But how to know? And what to do? What’s soon, you ask? Well, that depends. For Schlenker could be June.